American designers should not read this post. You know that feeling of inspiration that makes you so excited that you feel you might cry? The Thailand Creative & Design Center can create that. A project by the Office of Knowledge Management and Development, it was created by a directive from the Prime Minister to make Thailand a leading force in design…getting misty yet? 1. Design museum to highlight the best designs in ten different countries and explore “What is Design?” A centerpiece to the whole exhibit is a wall-sized timeline of design that could keep me occupied for hours. 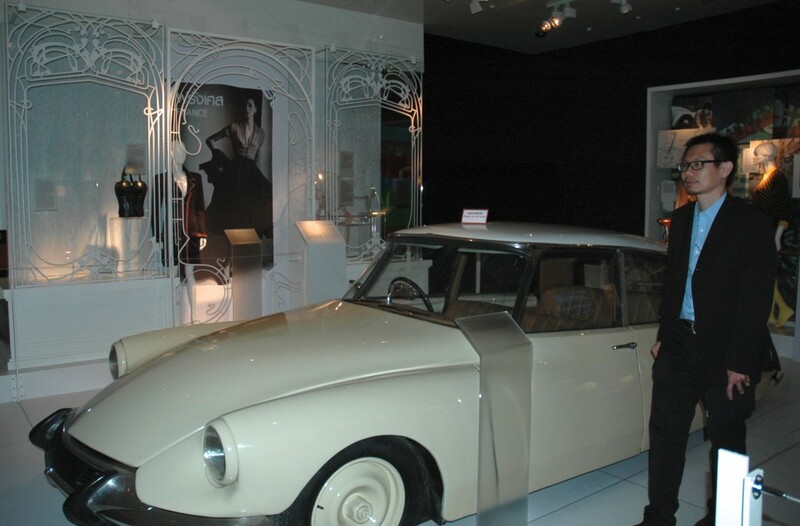 The collection itself is truly stunning and not small – an early Citroen in the French exhibit fits well within the scale of the space. 2. 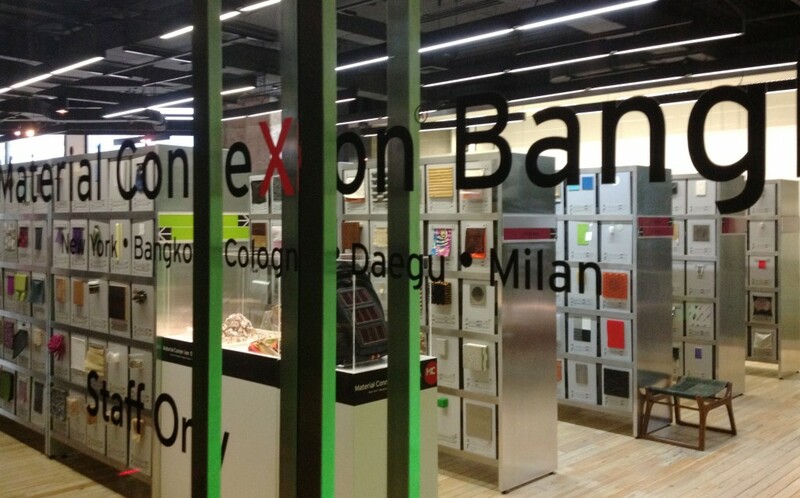 A design gallery which rotates exhibits every two months. The current exhibition, “The Databases” is designed to put designers in touch with resources of art, design, business and materials. The combined exhibit spaces comprise 1800 square meters (19,400 sqft) by themselves. 3. 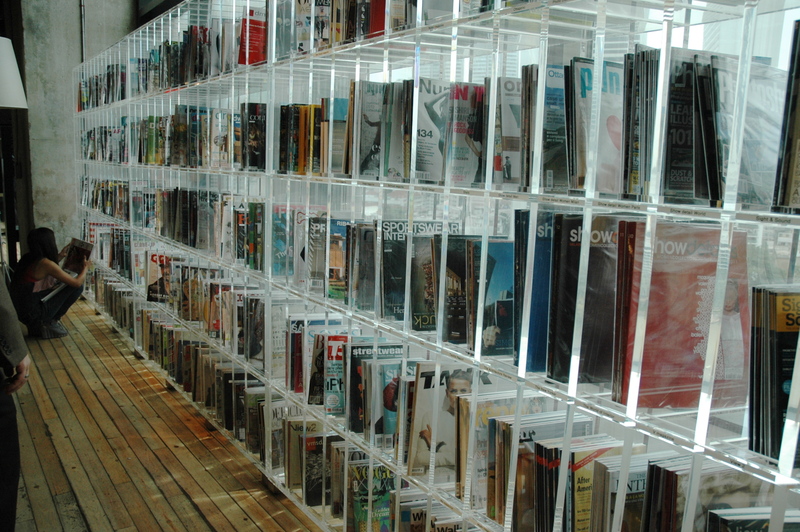 TCDC Resource Center which includes more than 25,000 books and 250 magazines and journals all dedicated to creativity and design. 4. 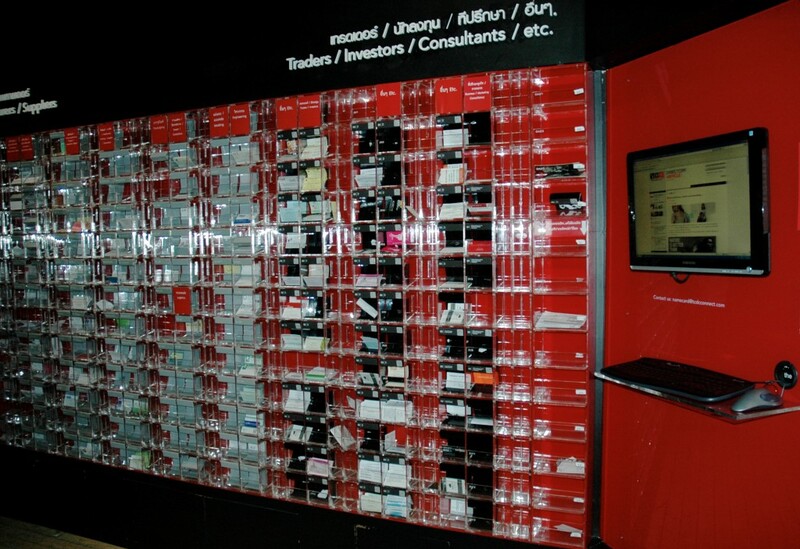 The gold standard of materials libraries, they have a fully stocked Material Connexion Library within the facility. 5. The Shop@TCDC highlights design with a retail shop supporting the local scene. 7. 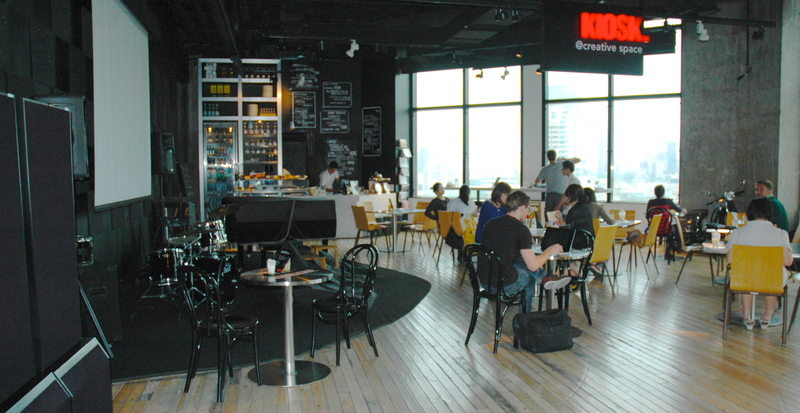 Actively programmed coffee shop called Kiosk, which also gives home to music and Pecha Kucha Bangkok presentations. 8. TCDC Connect which is a designated virtual and physical meeting place to link designers, clients and suppliers. What’s most amazing is not the fantastic design, nor the overwhelmingly comprehensive facilities, but instead the federal commitment to give home to the emerging design scene. Upon arrival you feel like design is a priority of the community. Then you meet the likes of the TCDC Executive Director, Apisit Laistrooglai, or the OKMD Executive Director, Pradit Rattanavijitrasilp, and you realize that Thailand has put brilliant minds and generous souls behind the whole effort. Of course there is more to a great home than a nice house. 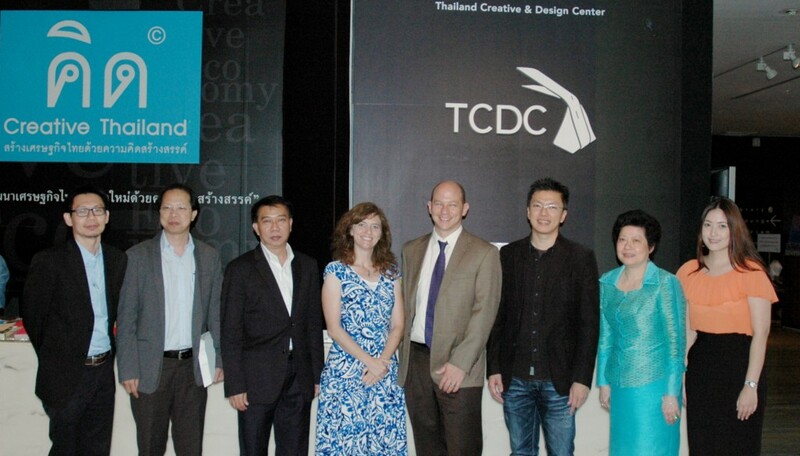 After some truly enlightening discussions, I realized that TCDC’s work is not yet done. There is a real hunger to grow the inventive culture of Thailand. This is not done with facilities but by empowering grass roots creatives to question more and take the leadership to resolve those questions. Certainly there are a number of new educational programs aimed at opening up these skills in Thailand’s next generation, and I will talk more about these activities on this blog later. However my resounding impression is that a structural change is needed. OKMD and TCDC ran the first lap and got Thailand a great head start, but it appears the baton of design leadership needs to be handed off to Thailand’s creative minds to finish the race. It appears that the American design scene is running this same race backwards, and it will be exhausting until we find more substantial support to pass the baton of design leadership. Special thanks to OKMD President Pramode Vidtayasuk and all the OKMD and TCDC staff for supporting my visit. Below is a slick video that gives an overview of the TCDC efforts. If I find the English subtitled version, I will repost it here. This entry was posted in Creative Culture, Design, Thailand and tagged Apisit Laistrooglai, Bangkok, design leadership, Emporium Shopping Complex, Material Connexion, Office of Knowledge Management and Development, OKMD, Pecha Kucha, Pradit Rattanavijitrasilp, Pramode Vidtayasuk, Skytrain, TCDC, Thailand Creative & Design Center on August 11, 2012 by aly.